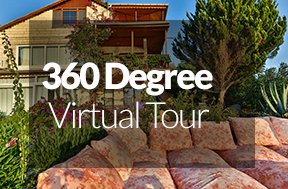 Explore the fascinating history and alluring waters of Mediterranean Turkey from the luxury, privacy and convenience of your own private holiday apartment at Villa Dundar Kas. 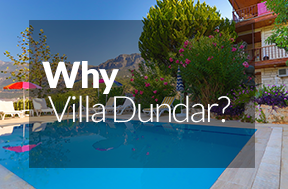 Villa Dundar is an impressive property consisting of a three level main villa and a separate two bedroom garden villa, owned and operated by the Dundar family, who are ready to welcome you on arrival. 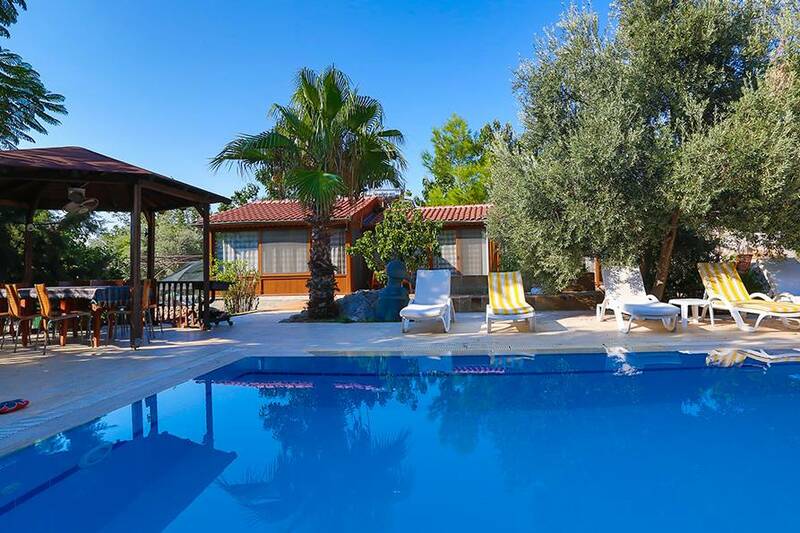 The main villa is divided into one apartment per level with the middle and upper levels available for holiday accommodation and the one level cottage style garden villa with two self-contained bedsitter style rooms. The Garden Villa is separate from the Main Villa located to the left of the swimming pool, and contains two self-contained bedsitter style rooms, which can be rented individually to accommodate two people or together for wonderful accommodation for 4 people. 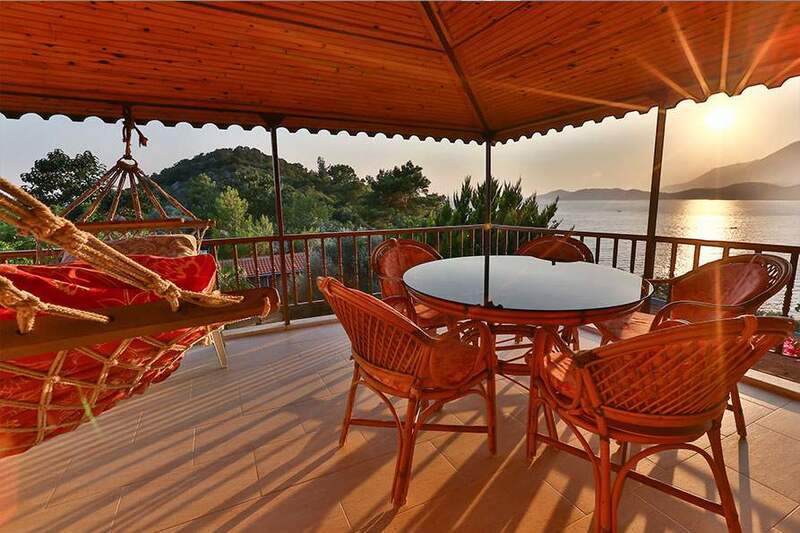 Located in an enviable north-facing position, in a quiet area of Kas, Villa Dundar is an impressive villa style property, owned and operated by the friendly Dundar family. The Main Villa is divided into one apartment per level with a separate cottage style Garden Villa. Two levels of the Main Villa are available for holiday rental: the second and top floors. The spacious second floor, 3 bedroom apartment, with ensuite bathrooms, covers the entire middle floor of the villa and accommodates 7 people in magnificent comfort. 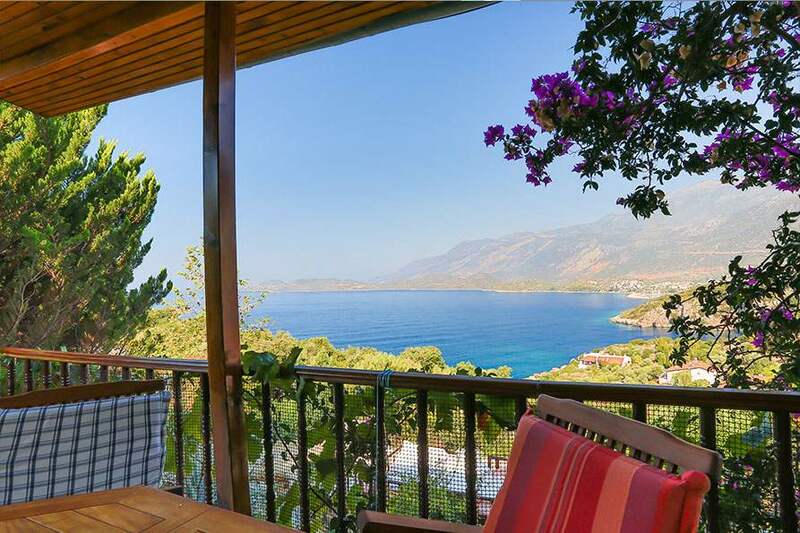 Sit back on your own private balcony and watch the sailing boats glide across the sea and let your mind and body relax and embrace the wonder of Kas. On a quiet hillside locale, the imposing Villa Dundar is one of the most sought after holiday villas in Kas Antiphellos with panoramic views and contemporary living inclusions. 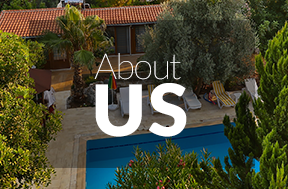 This classic three level Main Villa and separate Garden Villa is owned and operated by the friendly Dundar family, who built the villa and invite you to book your next Mediterranean holiday with them. The extremely private top floor of the Main Villa is 2 bedroom with ensuite bathrooms apartment covers the entire top level of the villa and accommodates 4 people in magnificent comfort. 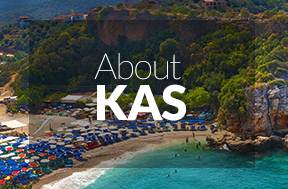 One of the most amazing locations in Kas to relax on your private balcony and take in the vistas across the blue waters of the Mediterranean by day and be delighted by the flickering lights of Kas village by night.